Local Authority: Information presented in a consistent and coherent format to assist with challenging workloads. Developer: A consistent and proactive approach to managing risk – safeguarding investment and reputation. Principal Contractor: An efficient and effective way to manage costs and certainty of programme. Supplier: A clear set of rules to minimise impact on the roads. Community: Risk of harm and disturbance from construction traffic minimised. 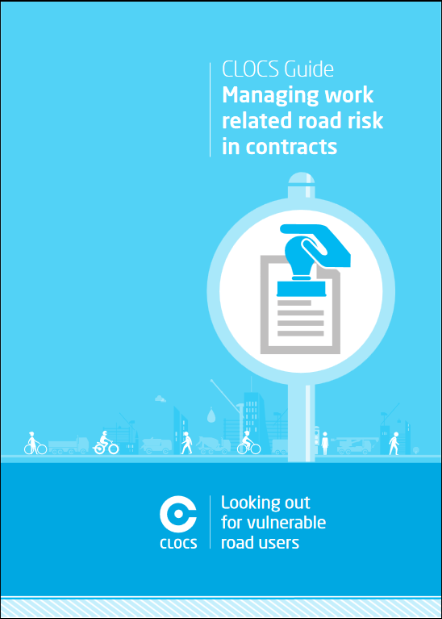 These are just a few key benefits – download the new Guidance or take a look at the Construction Logistics website for more information. those sites safely and efficiently. Version 2.1 of the CLOCS Standard is due to be published in December 2017. No fundamental changes will be made to the requirements but additional recommendations and guidance will be included to ensure the Standard remains up to date and progressive. All changes have been agreed in consultation with the CLOCS Working Group. In January 2017 Implementation Plans were introduced to capture a Champions’ scope and progress towards compliance.They have been integrated into the Memorandum of Understanding and are required when an organisation signs up to become a CLOCS Champion.There are a still a few Plans outstanding and while every opportunity to submit will be offered, where no Plan is forthcoming by the end of 2017 then CLOCS Champion status will be suspended. If you have not yet completed yours please folllow this link. Site visits were introduced earlier this year as an elective way to demonstrate site compliance with the CLOCS Standard and to compliment the fleet operator audit. The Working Group has now agreed the time is right to impose some rigour to the process through the introduction of this policy that will be updated as the CLOCS journey progresses. “A CLOCS Champion should request one/more visits by the CLOCS site compliance monitoring team to at least 20% of their ‘sites’ each year”...read the full policy.Rest assured, all visits are completed in a constructive and supportive way to help companies identify ways to improve.This policy does not seek to punish, but exists to help Champions understand and improve site compliance and consequent safety. CoTrain, a CITB Shared Apprenticeship Scheme held its annual development day last Friday for its Year 2 apprentice Site Managers – the future of the industry. Many of these young people work with CLOCS Champions such as Mace, Willmott Dixon and Kier and the day is designed to help them plan for the completion of their apprenticeship and the move into full time employment. Derek Rees, Project Director of CLOCS, provided an overview of the CLOCS Standard to demonstrate how their responsibilities as future site managers extend beyond the site gates. Some of those who have already been involved with construction logistics had previously heard of CLOCS and understood the wider implications. To cement their new-found knowledge and to help them to take the message back into their colleagues, they were set the task of preparing short presentations to play back to the group, highlighting the current situation and the opportunities and benefits for various stakeholders such as directors, site managers and the local community. CoTrain is run by SECBE – lead partner in the delivery of CLOCS. 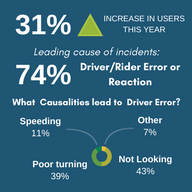 FORS Collision Manager (formerly CLOCS Manager) reported that 74% of incidents reported on the system are due to driver/rider error or reaction. Help avoid this within your business by adhering to the driver standards requirement D1 to D9 of the FORS Standard and 3.1 on the CLOCS Standard. FORS Smart Driving e-Learning module which focuses on the basics of road safety and explores some of the more advanced techniques of concentration, observation and anticipation can help to mitigate against the main reasons for driver error. Drivers can also take advantage of the Safe Urban Driving (SUD) training, which meets FORS, CLOCS and TfL’s Work Related Road Risk (WRRR) requirements. Sit in the driver’s seat of a lorry to understand what they can / cannot see of the road. Learn about the techniques that could be life-saving in the event of a collision. Receive training on safe-cycling on busy roads from experienced instructors. Get a bike check up sorted, free of charge. Speak to the Estates Safety Team about campus improvements, and share their thoughts on safety on campus. 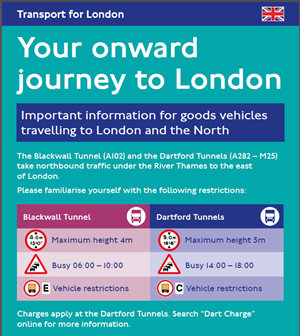 Eurotunnel and TfL are working together to remind drivers of height restrictions in London. Blackwall Tunnel is a key river crossing in London but ‘watch out’ because Blackwall’s northbound tunnel height limit of 4m is lower than the southbound tunnel’s limit of 4.8m. It’s also lower compared to other London tunnels and river crossings e.g. Dartford. Traffic flow through Blackwall is disrupted on average 30 times a month through overheight vehicles and breakdowns. In 2015, overheight vehicle incidents at the tunnel were estimated to have caused delays costing more than £3m.